When success is measured in minutes, depend on the proven field performance of our all-weather rescue units. We will do whatever it takes to earn your business since these units simply save lives. Like to see as many of them being used as possible. 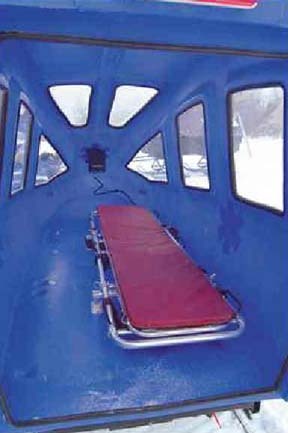 This unique polyethylene constructed rescue unit is fully enclosed and has enough room for the patient and one or two attendants. The superior gas shock suspension and cushioned limited rotational hitch provide for greater patient comfort. 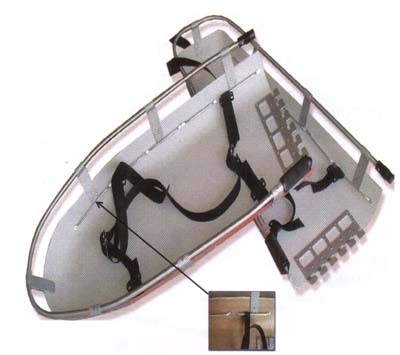 Pictures below show the optional aluminum stretcher and interior heater, the battery for the heater mounts in a housing between the back skis. The heater, battery and mount housing are all sold separately. The optional interior light is rated to -40 degrees. This unique rescue unit is fully enclosed and has enough room for the patient and one or two attendants. A superior gas shock suspension and cushioned limited rotational hitch provides greater patient comfort. 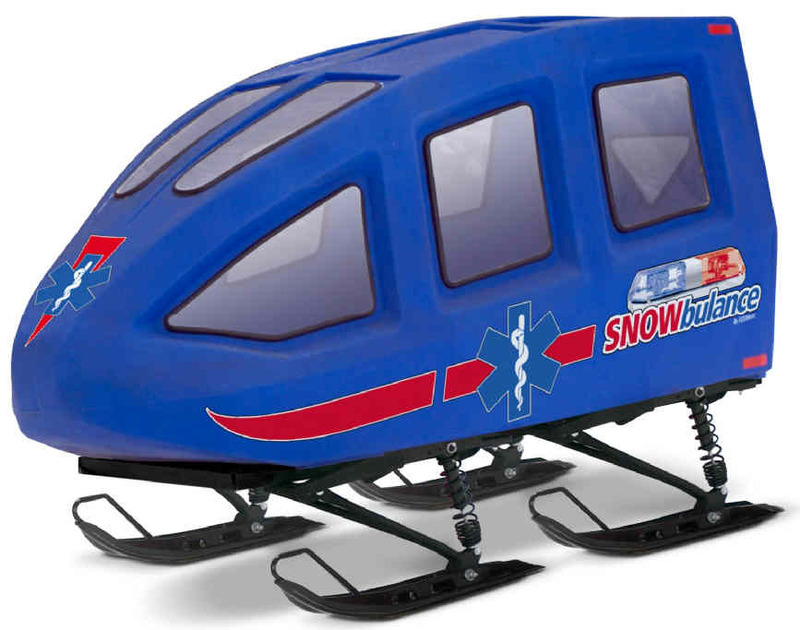 The Snowbulance has an optional heater that will help keep the patient warmer and safe. If you need to make a nighttime rescue, the Snowbulance has an optional interior light to assist you. 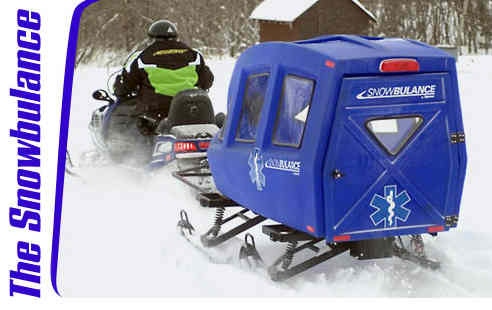 The Snowbulance is made of polyethylene and is equipped with body reflectors and brake/running lights. 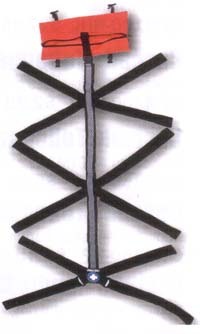 Stretcher, litter and other rescue equipment, we have access to many other types of equipment, please contact us via phone regarding items which may not be listed.